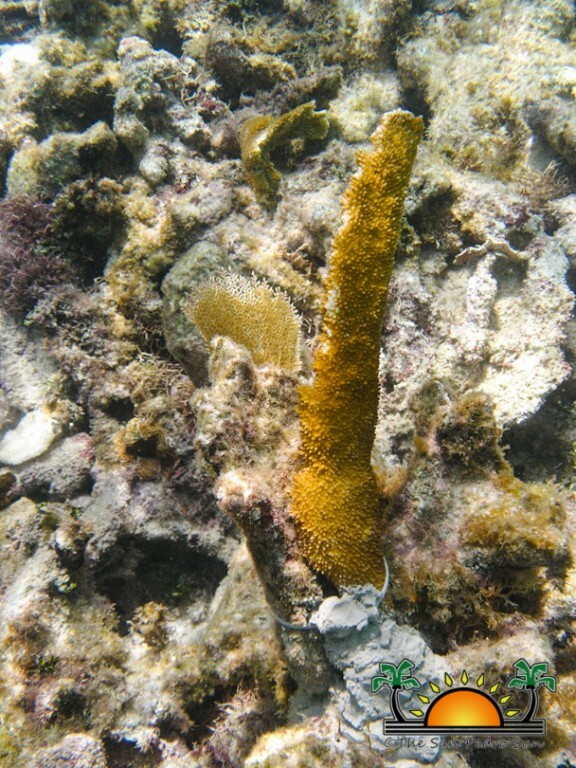 Hol Chan Marine Reserve is asking the public’s assistance in investigating an incident that has left a significant strand of Acopora palmate (Elkhorn Coral) of the main reef damaged. It is believed that sometime on Sunday night, a boat ran aground the reef at Shark Ray Alley, located within the marine reserve. The vessel was pulled out unnoticed, but the impact is significant. On Monday August 5th, Hol Chan Marine Reserve office was informed of the incident after damages left behind by the vessel were clearly observed. “A vessel did run aground the reef and we highly suspect it occurred some part of Sunday (August 4th) night because when we visited the site on Monday, the damages were fresh. The damage done to the reef is significant. A lot of the corals were overturned and the Elkhorn Coral were broken into a lot of little pieces. It was just a lot of damage,” Kirah Forman, Marine Biologist at Hol Chan Marine Reserve. The damage to the reef was done in two areas, but the largest impacted area measures 85 feet by 42 feet. “Because of the size of the area that was damaged, we believe it was a large vessel. It must have been something larger than the tour boats,” added Forman. The area in question is within the reef, inside the recreational section of Shark Ray Alley, specifically behind the mooring buoys. “The area damaged is one of the areas used by tour guides for snorkeling and so it will certainly look bad for tourism. 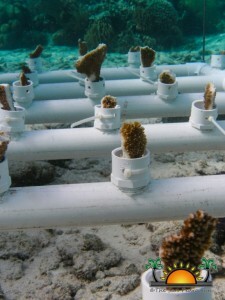 It also set back the work in terms of coral reef conservation. Corals are a protected species and a lot of them are on the IUCL endangered list,” commented Forman about the impact of the grounding. The only evidence observed is that fragments left behind showing that the bottom of the vessel is blue. “We want the public to know what happened and for them to help us find who damaged the reef. They can call us and give us an anonymous tip if they know anything,” advised Forman. So far Hol Chan Marine Reserve has conducted some restoration to the damaged area. “We used the damaged coral for the restoration process. The larger fragments were cemented back around the damaged site. 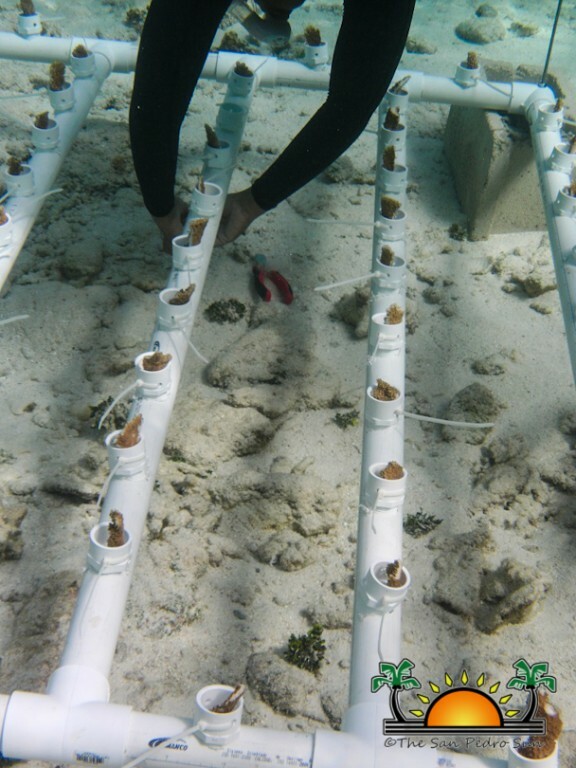 We used the smaller pieces of coral and established two nurseries; one in Zone A (Hol Chan) and Zone D (Shark Ray Alley). If all goes well we will be able to use the nursery to plant coral in the damaged site or other areas,” explained Biologist Miguel Alamilla, Manager of Hol Chan Marine Reserve. A total of 128 pieces of corals were planted. The dollar value of the damage has not been quantified, but anyone with information can call the Hol Chan Marine Reserve Office at 226-2247.